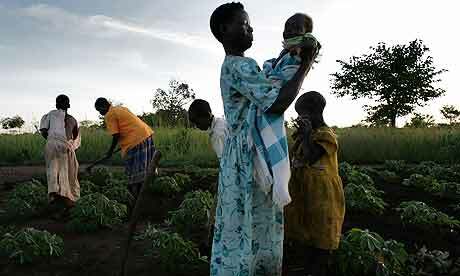 As the deadline for the Millennium Development Goals approaches, considerations for the post-2015 global development agenda are now in full swing. In the food and nutrition security world, there have been a flurry of events discussing the most important current and future global challenges and which should be prioritized in the post-2015 agenda. Last week, the Food and Agriculture Organization (FAO) and the World Food Programme (WFP) organized the High-Level Consultation on Hunger, Food Security and Nutrition, one of eleven consultations organized by the United Nations to kick off discussions on the post-2015 global development agenda. Hosted in Madrid by the Governments of Spain and Colombia, the high-level event was the final step in the three-phase consultative process. Earlier, the FAO and WFP hosted an online consultation followed by a more informal consultation with food and nutrition security experts. The final report from the consultation is yet to be released, but there were several important issues and priorities that emerged from both the broader e-consultation and the expert consultation. The ideas in these reports are not revolutionary, but instead reflect the changes and lessons learned since the launch of the initial set of Millennium Development Goals (MDGs). For example, in current discussions on hunger eradication and food security, no conversation is complete without addressing the challenges of improving nutritional status. However, in the original MDGs, hunger was measured by caloric deficiencies, without any consideration for adequate nutrition. Both consultations also called for a more holistic approach to not only food and nutrition security, but to development as a whole. Participants highlight the importance of not only including measurements to promote agricultural growth, but also advocate for the inclusion of indicators to ensure that growth is sustainable and takes into account environmental protection, gender equality, and poverty, among other factors. During the e-consultation, the MDGs were criticized for being fragmented into different targets, based on the division of labor between the various UN agencies. This was thought to have discouraged cross-sector collaboration and have created artificial boundaries between the highly interrelated and interdependent development priorities. Following the conclusion of all eleven consultations, the UN High-Level Panel of Eminent Persons, the 27-member body appointment by Secretary-General Ban Ki-moon, will finalize their recommendations on the post-2015 agenda. The final report by the panel is due on May 30. To follow the progress on the post-2015 development agenda, please visit The World We Want or Beyond2015.